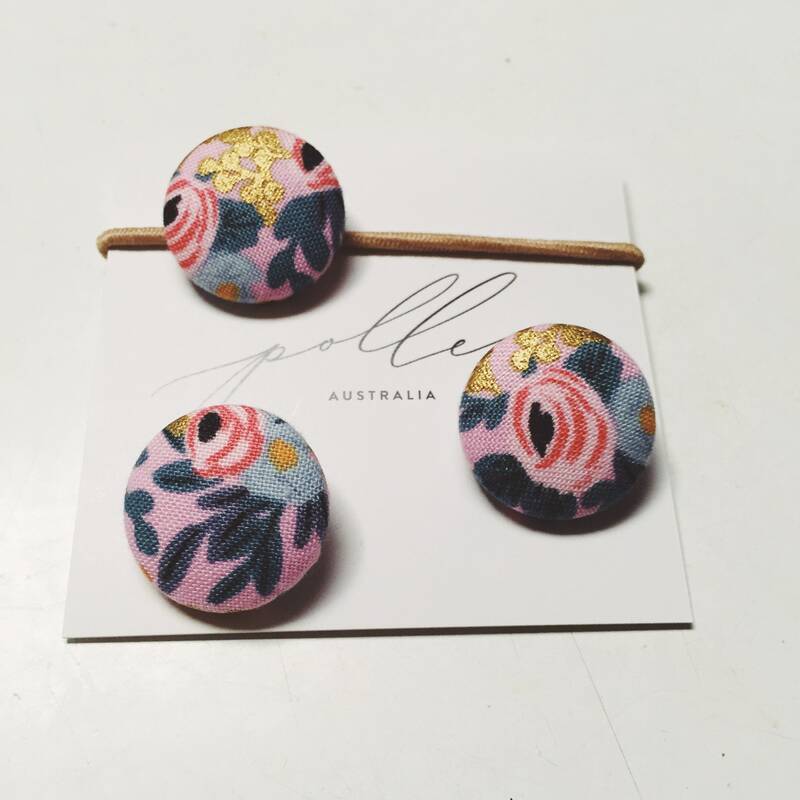 These button hair ties are each finished in Rifle Paper Co. everyday cotton fabric ‘Rosa’ print, colour way violet. The iconic Rosa pattern features splashes of gold metallic against a violet background. 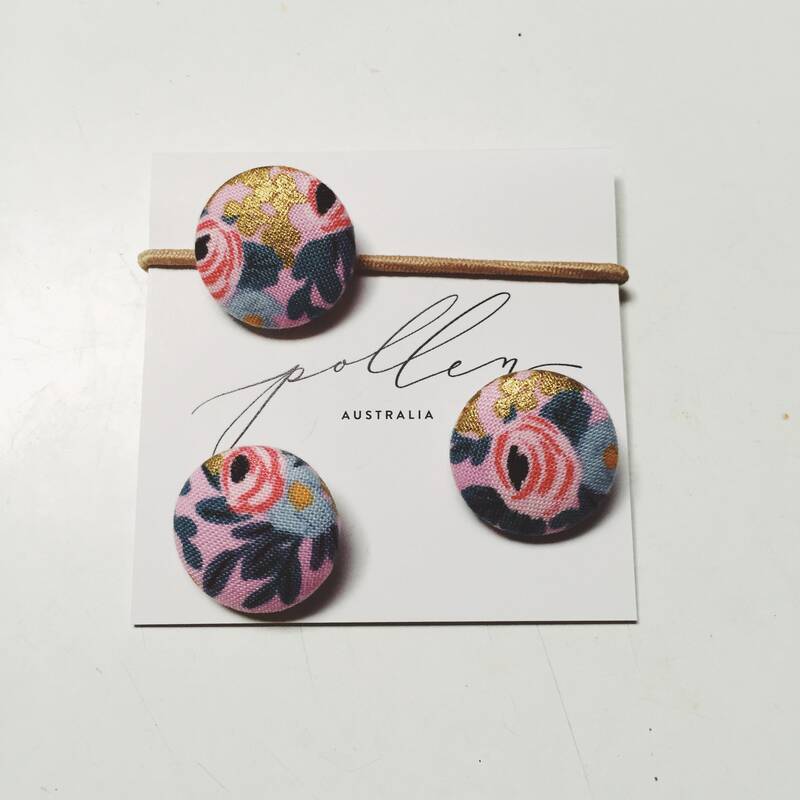 Perfect accessory for the little girls who love to accessorise. 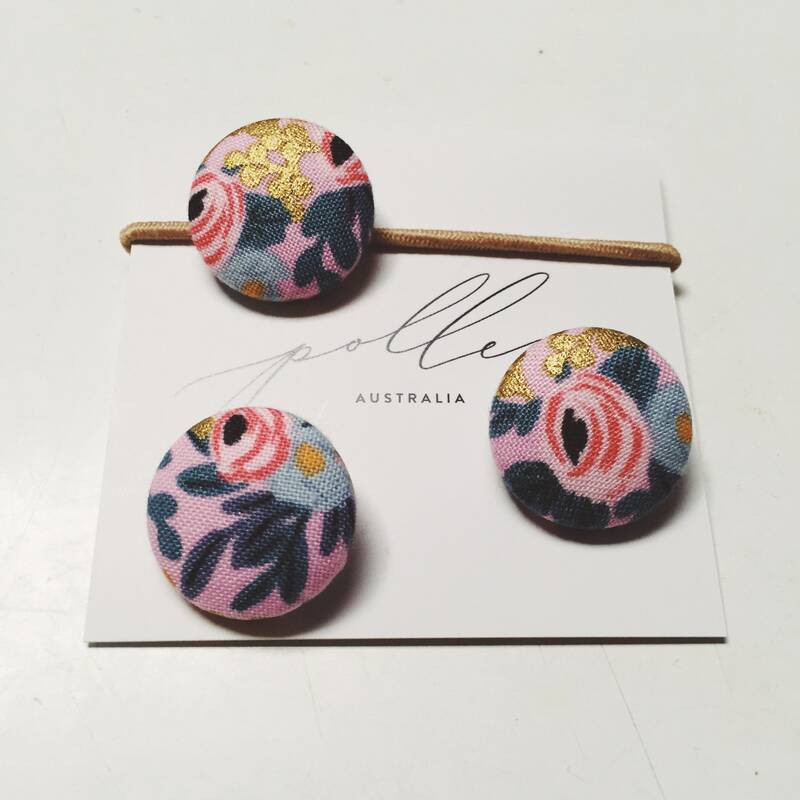 Handmade in Queensland, Australia from iconic 100% cotton screen printed with metallic ink. This listing is for three (3) hair-ties. Position of the printed flower design may vary from image. Pollen Clothing is dedicated to creating long-wearing, multi-seasonal, heirloom clothing that is designed to be handed down from generation to generation. Priding itself on ethically handmade ‘slow’ products, these garments are of impressively high quality and illustrate a devotion to impeccable craftsmanship.